A unique female perspective on the message of Jesus elevates the Biblical drama Mary Magdalene. Rich character study and a lovely sense of place elevate Kent Jones' Diane. The 19th-century-set supernatural thriller The Wind suffers from both a lack of scares and wispy thematic subtext. MaryAnn Johanson finds a cartoonishly awful protagonist at the center of the animated Missing Link. The gender-and-age-reversed spin on Big winds up feeling like a kid's idea of grown-up life in Little. 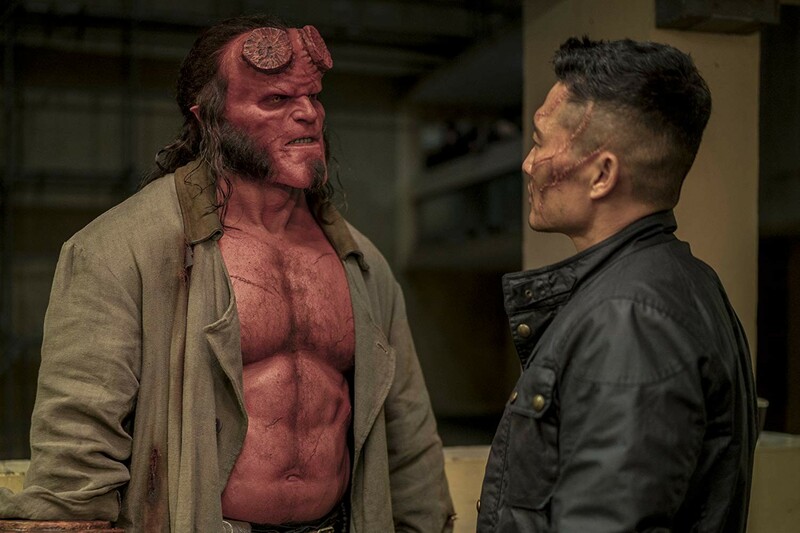 Eric D. Snider wishes the muddled reboot Hellboy (pictured) could be sent back to the hot place to cook a little longer. Also opening this week, but not screened for press: the youth-skewing romantic drama After. In this week's feature review, Transit turns its sort-of-a-period-piece into a warning about not learning lessons from the past. Our critics get fired up over their most anticipated 2019 films. Our critics share their holiday-viewing comfort food. Overlord commits to bloody battles with Nazis, zombies and zombie Nazis. Asghar Farhadi can't meld his trademark humanism with potboiler mystery in Everybody Knows.